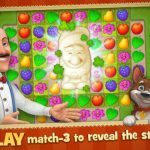 Want more Match 3 mania, if Candy Crush, Pastry Paradise, and other titles weren’t enough for you? You’ll get just that with Cupcake Mania, which comes from the same makers of Jewel Mania and Bubble Mania. Team Lava’s new title will have you protecting your cupcakes and other pastries from the “insatiable” Bruno the Bear, who’s looking for a taste of your sweet treats. 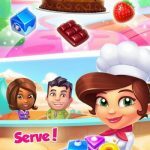 You’ll be teaming up with Heidi the Cupcake Guru against Bruno, and will get more than 100 levels to play, and various special treats to concoct whenever you make a big-time match. The game also lets players purchase in-app items, though you can always have this feature disabled. 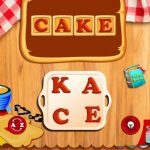 Newcomers to Match 3 games will want to check out the following Cupcake Mania cheats, tips and tricks. We shall now be showing you what you’ll need to do to make the best matches, dominate the game, and do so without spending a single cent of your hard-earned money. Whenever you complete a new level, you’ll earn a new key, but you’ll also be earning yourself gems and other bonuses once you’re able to complete one whole group of keys. This can be done by replaying earlier levels and accomplishing each and every requirement. Aside from getting you more keys, such an approach would also be quite helpful in honing your strategy for future levels. It’s not sure whether the time-tested time lapse cheat would be of help when replenishing lives on Cupcake Mania, but once you use up all your lives, you’ll have to wait it out a bit before they get automatically replenished. But if you’re not willing to wait, you can always spend gems, but you’ll only want to do this when you’ve used up all your lives. Refills, after all, will always cost the same regardless of how many lives you need filled up again. Each level comes with a set of pastries that you have to remove from the board. Once you include these pastries in a match, they’ll be removed from your order, with all of your matches coming with a multiplier for adjacent pieces. Use this multiplier to complete the pieces, though take note that you can only use multipliers once before they’re removed from the board. Not to worry, though, as you can always make new ones by completing a new match. 4. How To Activate Special Pastries / Pieces? Earlier, we told you about the special pieces you can create in Cupcake Mania. 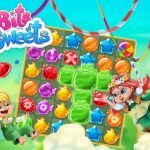 Just like you would in Candy Crush or other similar games, you’ll have to match four or more of the same piece – a four-piece match would result in a Sugar Rush, for example. Creating T-pattern or L-pattern matches would earn you a Sprinkle Shock. Cupquake, on the other hand, would require you to match five pieces in a row, and that’s going to clear all pieces of the same color as the five pieces you matched earlier.